Boutique financiers armed with massive databases and complex algorithms are changing the way that small commercial and industrial (C&I) solar projects get financed. Typically targeting projects under 250 kW, these financiers have automated and accelerated as much of the underwriting chore as possible. The result is that old back-office costs largely have disappeared, making a small C&I loan possible, and even lucrative for certain classes of investors. “For C&I net metering deals, there likely will be a $5 billion to $6 billion market this year. If there is an avoided cost of power that is more than 10 cents/kWh, there is likely to be a workable deal. 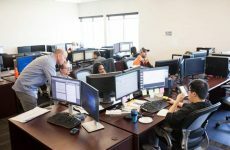 Our installers say C&I is where they see all the growth,” says Dustin Keele, founder of SolRates, based in Silicon Valley. His company finances in all 50 states. “We calculate that the medium U.S. business needs a $175,000 system,” says Bryan Birsic, the CEO of Boulder, Colo.-based Wunder Capital. All of these boutique financiers say they want to see businesses save at least 10 percent off their utility bill. In states like New Jersey, however, with strong SREC markets, the savings can go up to as much as 50 percent. Most banks are not interested in considering a solar C&I deal for less than $5 million, these financiers say, since the labor cost of their staff of underwriters makes anything under that size unprofitable. 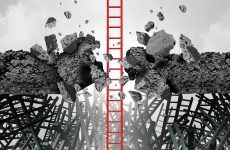 But using a series of information tools, including business financials, tax documents and credit rating agency records, these financiers can generate a yes or no response in very little time, eliminating 90 percent of the time and effort that a team of staff underwriters might expend to reach a decision. These small lenders also have adopted standardized and proprietary contracts to eliminate lawyer review and cost. The industry is likely to move toward a single C&I contract format in a few years’ time. “One thing that’s nice about 250-kW-and-under systems is that they are not much more technically complex than a residential system, yet they can be many times larger,” Ramsey notes. His finance platform version 2.0 was recently released with some 600 installers and other players in its database. “It’s one of the final frontiers for solar,” he says. If a business is not able to use the ITC benefit, or is willing to forego it, the project becomes that much easier to place. An operating lease, in which the lessee does not own the system until all payments are made and a buyout is paid, is one popular mechanism. The SolRates system (free for installers to use) simplifies these equations. “Once the data is loaded, SolRates provides instant online financing options, where our algorithm finds the optimal lender and financing structure for the deal,” he says. Some of these financiers make their money by originating the leases or loans for an institution that will hold it and use the associated ITC benefit. Others work the margins the good old way. Apart from small banks and credit unions, small C&I loans are frequently funded by private equity, be the investor an individual, a family office, a financial adviser or a foundation. 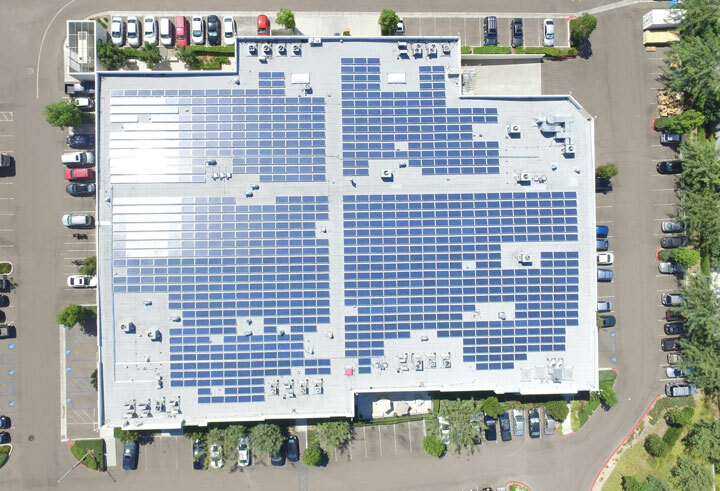 “Business owners going solar with our financing can and frequently do achieve ROIs of greater than 10x on their out of pocket capital,” Keele says. Wunder Capital packages its own term investment products from the various loans it closes. The company’s Term Fund pays 8.5 percent for the seven-year instrument; the minimum investment is as little as $1,000. In its end-June mid-year review, Wunder reported funding 53 projects this year to date, with the majority involving Term Fund investors. One risk mitigating factor in private equity investing is the higher quality of warranties, Birsic says. Some lesser known manufacturers have secured these via third parties specialized in the product. While Tier 1 manufacturers tend to service the warranties from their balance sheet, the practice of re-insuring warranty risk has accelerated. Not every solar manufacturer open for business today can safely be assumed to be in business in seven years. Loans for purchased C&I systems are rapidly emerging as the popular financing tool for the segment. Even with seven-year terms, the buyers can save money along the way. “The loan rates that customers pay can vary depending on their credit: If it’s good, high 5 percent or low 6 percent is typical. If it’s less good, then mid-7 percent,” Keele says. The complexity of the loan tends to go up with value. “Our focus is toward the lower end, so for a 100-kW deal, it may only be worth $200,000. But for a 1-MW deal, worth $2 million, it may be a very different set of conditions,” Ramsey says. The financiers agree that as the ITC dwindles away, there will be more loans to the small C&I segment than operating leases. Efficiently financing small- and medium-sized businesses is the solar industry’s white whale. At SPI, Braggawatt Energy is officially launching its new platform, specifically built to address these needs. How? What they are calling a partner-driven model designed for simple navigation, creation of financing proposals and automation of credit reviews and financing contracts to implement reliable onsite energy solutions that uniquely address the needs of SME customers. “Unlike disjointed software platforms or standalone financing providers, Braggawatt’s platform streamlines the origination, development and financing of distributed energy solutions for SMEs,” said Trey Ramsey, co-founder and CEO of Braggawatt. 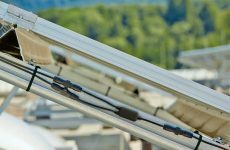 “We connect the dots between local installers, solar-ready businesses and the financing necessary to make it all happen,” Oleg Popovsky, Braggawatt’s co-founder and CCO, added. Charles W. Thurston is a freelance writer who covers solar energy from Northern California.